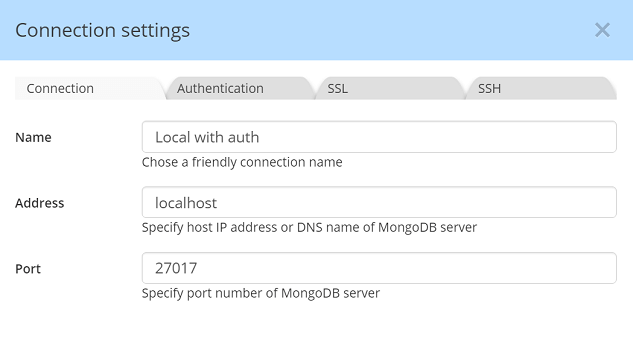 In MongoDB's authentication model, a username is scoped to a database, called Authentication Database. The user’s privileges are not necessarily limited to this database. The user can have privileges in additional databases. 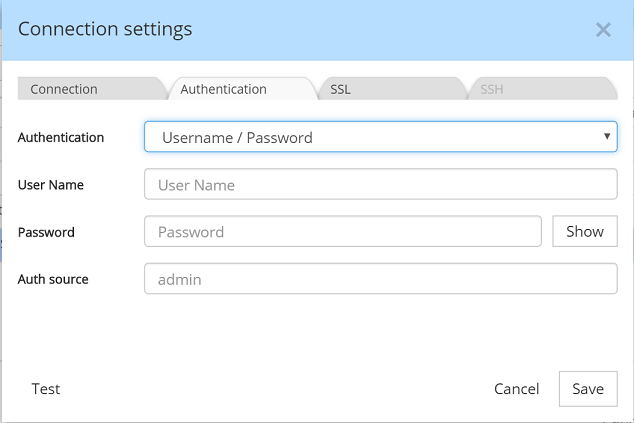 If the field is left blank, the default value admin is used. For authentication methods other than User/Password authentication (like Kerberos, LDAP, X.509) the Authentication Database is always set to $external and no user input is required.